When it comes to your vehicle, your authorized Toyota dealer knows best. Whether you need service, new parts, collision repairs or just have a few questions, we are always there with the answers and expertise you need. Mike Calvert Toyota’s factory trained and certified technicians are focused on ensuring the maintenance and service work performed on your vehicle is done professionally, on time, and with exceptional customer service. We only use Genuine Toyota parts which were engineered to fit your Toyota with the proper specifications and are built to the highest standards of quality, durability, and performance. Our Toyota trained technicians use Techstream, a diagnostic tool designed to talk with your Toyota’s many computers. Then, our dedicated workers check your car bumper to bumper, to make sure every item is working at 100 percent efficiency. We go above and beyond what is expected from a normal auto repair shop. Our state of the art service bays have only the highest quality equipment ensuring your service is completed as quickly and efficiently as possible. We make sure every screw is tightened and every bolt is secure. Your vehicle is as precious to us as it is to you, and we want our customers to drive away feeling satisfied. 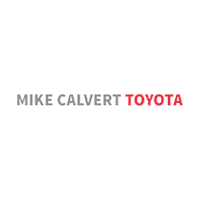 Here at Mike Calvert Toyota, we value your patronage, and we want to show you that through the work we do on your car and for you. We perform all repairs with the utmost efficiency to ensure quality work done fast. At Mike Calvert Toyota, we know repairs and service on your vehicle can be inconvenient. That’s why we do our best to work with you. You can conveniently schedule service online to work within your busy life. We offer a complimentary shuttle service to get you to where you need to be while your vehicle is being worked on. Of course, our comfortable lounge is always available with complimentary snacks and beverages, WiFi, high definition televisions and many other amenities. We also offer Service Specials so that you can save more on your vehicle’s service needs. Give Mike Calvert Toyota a call today or schedule your appointment now! We look forward to seeing you soon and getting your Toyota in tip-top shape. Why Choose Our Texas Auto Service Center? We know you have many options when it comes to choosing where to take your car, truck, van, SUV for service. At Mike Calvert Toyota, our goal is to be your one-stop shop when it comes to all aspects of service and maintenance. While our specialty is Toyota, our factory-trained technicians are more than qualified to perform maintenance on all make and model vehicles. We only use the highest quality OEM (Original Equipment Manufacturer) parts and cutting-edge diagnostic/repair equipment when servicing your car, truck, van, or SUV. When you combine all this expertise and technology with our money-saving service coupons, it becomes clear why Mike Calvert Toyota is the best choice for auto maintenance. Schedule your next maintenance visit online and experience world-class service at our dealership located at 2333 S Loop W, Houston, TX 77054.